Overall objective: To promote the sustainable development of Armenia through raising awareness level of population about environment and impact of emissions on ecosystem. 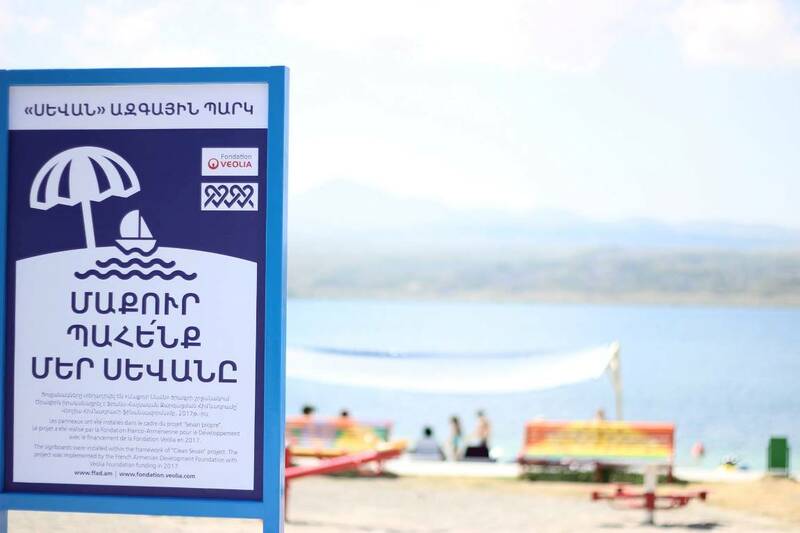 Specific objective: To clean the public beaches of Lake Sevan creating workplaces for the inhabitants of Gegharkunik region. Project description: Lake Sevan is situated in Gegharkunik region at an altitude of 1898 m. above sea level, which differs for its unique ecosystem. The total surface area of its basin is about 5,000 km2. The lake itself is 1,200 km2 and the volume is 32.8 km3. It has a great significance not only for the region but for the whole country in general. Lake Sevan has the largest basin of sweet waters in the Southern Caucasus. The lake has significant effect not only on the environmental balance but also on the economy. According to the RA Government decision, 8 public beaches were created, covering the total surface of about 28.16 hectare. Public beaches number 1, 2 and 3 are fully equipped, public beach number 8 is in the process of furnishment. Public beaches number 4, 5, 6 and 7 are seperated from each other but yet not furnished. During summer months the public beaches are full of people. Many tourists and different inhabitants of the RA regions visit the lake. Our studies allowed us to state that the public beaches have visitors during the whole year and especially during summer months as a result of which the conditions of public beaches are getting worse. At public beaches there is lack of informative signboards aimed at the conservation of environment and the collection of garbage as well as the absence of cleaning staff. As an outcome of the project, informative signboards and bins will be installed. The responsible for the monitoring Sevan National Park will be. The Armenian Fund for Sustainable Development is obliged to update the damaged posters and share informative leaflets during the coming 3 months.